External storage is still an important storage medium despite so many online storage services available today. Many people still rely on external storage due some reasons. They commonly still have some doubt to use cloud storage service due to privacy-related issues. Using external storage meaning that you don’t have to give your personal information to anyone. SSD is one the best options of external storage since it can transfer your files to your computer faster than hard drive. Commonly, an external SSD uses USB 3.0 as the connectivity medium. The average storage capacity of external SSD is probably not too different to external hard drive. But, external SSD commonly cost higher than external hard drive since it uses better technology to deliver faster transfer rate. Whatever your purpose with your external SSD, here is the list of 5 of the best SSDs available in market today. 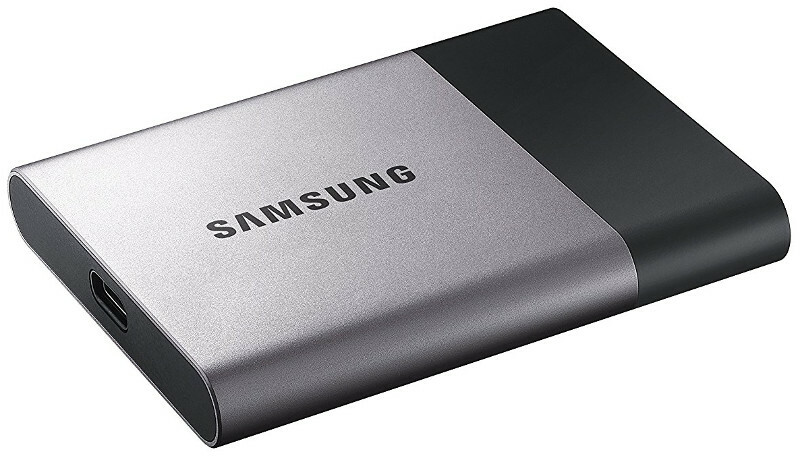 On the first list of best external SSD we have T3, a famous external SSD from Samsung. With the same size as business card, T3 can fits on your pocket so you can always take important files with you in case you need them anytime. But, it’s not the most notable part. As I mentioned on the opening paragraph, SSD card has a faster transfer rate than hard drive. And Samsung T3 can transfer your files up to 4 times faster than external hard drive. Its transfer rate speed can reach 450 MB/s. Imagine if you have to transfer files in a huge number. It won’t be felt. In order to get the most of out its high speed transfer rate you need to ensure your computer has a USB 3.1 port. T3 is a good option for photographers who need to transfer their works from external storage to other devices. Its super slim body can also be the plus points. T3 is available in various capacities from 250GB, 500GB, 1TB and 2TB. It is compatible with Windows, Mac OS, and Android. SasDisk has long been known as the storage producer company. Extreme 900 is one of its products in the external SSD line. This external SSD is also good choice for photographers since it has the capability to transfer your high-res photos up to 9 times faster than external hard drivea. SandDisk Extreme 900 has a 850MB/s of transfer speeds, read and write. Specifically, Extreme 900 is perfect for travel photographers whose their jobs require them to move from one place to another ones. SanDisk Extreme 900 comes with a durable design. It was made from rugged rubber bumper. Its body was also designed to be a shock and vibration-resistant. 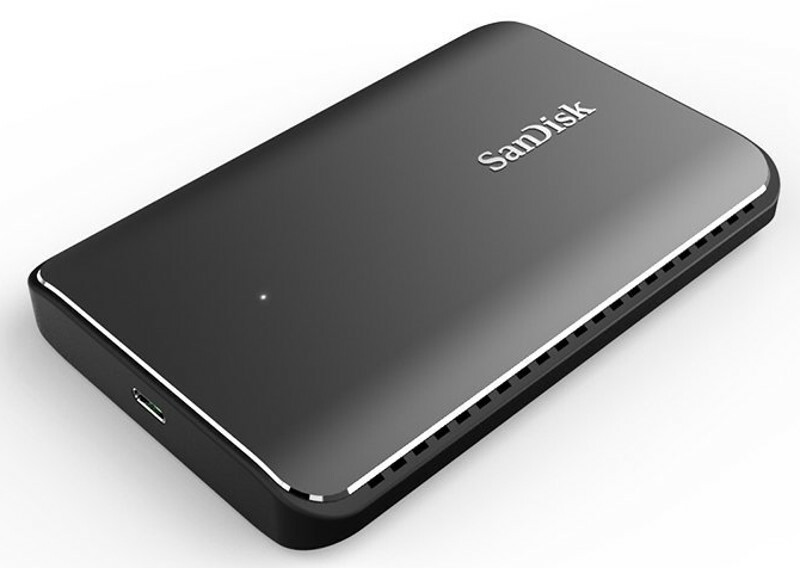 External SSD supposed to be a personal stuff but, if you have some worry about your files you can also create a private folder on your drive using SanDisk SecureAccess software. This 128-bit AES encryption software makes it easy to password-protect critical files. 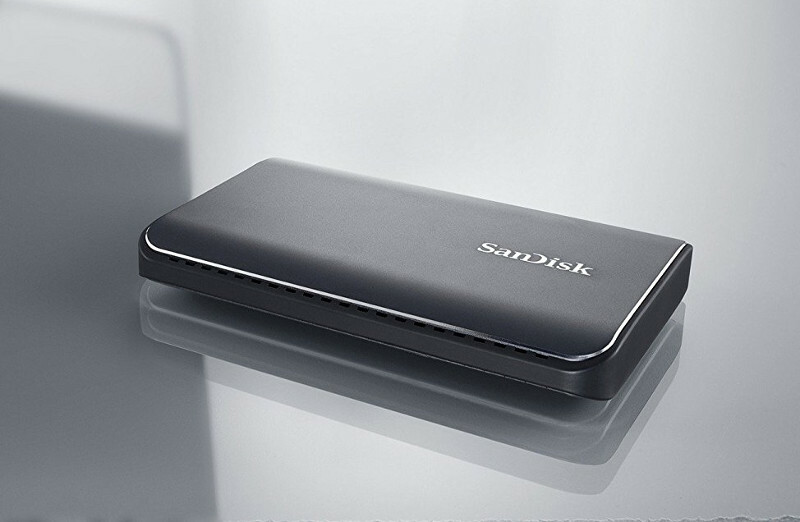 SanDisk Extreme 900 external SSD is available in three different storage capacities 480GB, 960GB and 1.92TB. If design is an aspect you consider the most when buying something then MyDigitalSSD should be on your radar. Comes with a sleek white design, MyDigitalSSD is also a great option for those who is looking for a external SSD for either backing up files or storage medium while on the go. Just like other SSDs, MyDigitalSSD also has a faster transfer rate to lessen your waiting time. The transfer speeds of this external SSD are 465MB/s to read and 445MB/s to write. 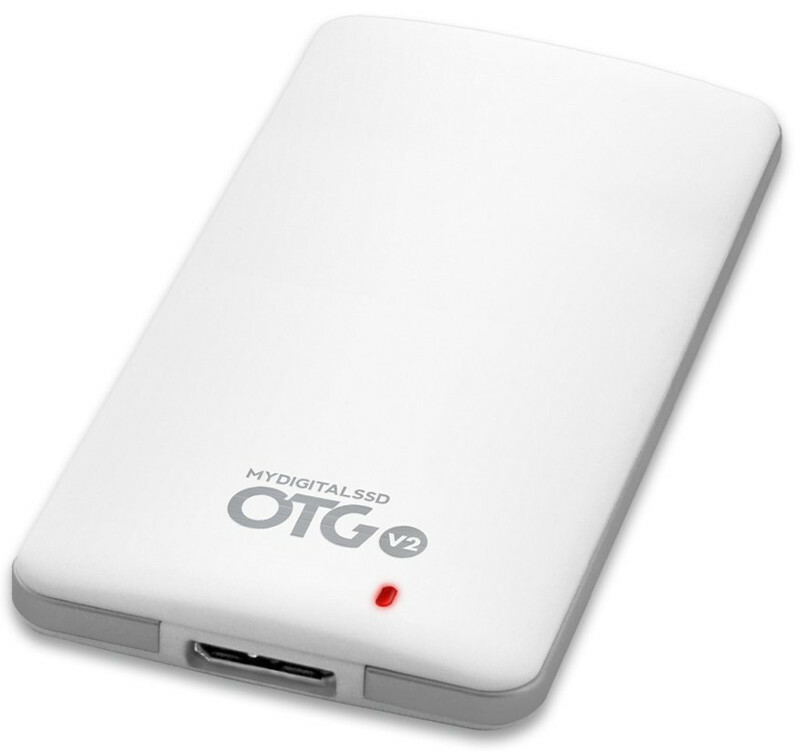 Specifically, MyDigitalSSD has been designed to become a portable data center as it comes with a OTG V2. With OTG V2 you can take advantage of your external SSD to accomplish more needs like work hub, storage gateway and lots more depends on your creativity. Each OTG V2 of this external SSD includes two USB cables: One 8-inch USB 3.0 cable for use in standard USB ports and one 18-inch USB Type-C cable for use in USB-C compatible smartphones, tablets, and laptops. MyDigitalSSD itself is available in two different capacities, 256Gb and 512GB. Remember the rectangle design of Toshiba Passport? U32 Shadow will remind you to the classic iconic rectangle design of the external hard drive from Toshiba. But surely, U32 Shadow has a smaller body than Toshiba’s external hard disk. Plus, it much faster than it. U32 Shadow gives you two color options to choose, silver and black. 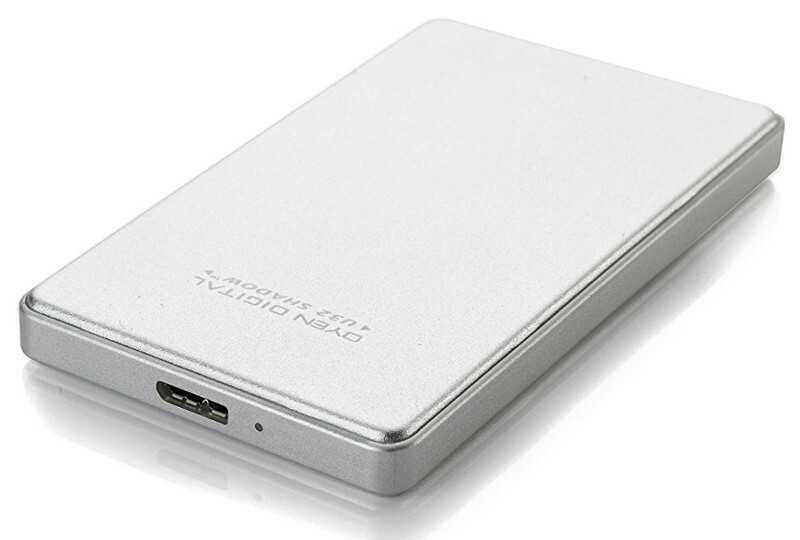 The stylish design of this external SSD features an aluminum body engineered to effectively dissipate heat. With the transfer rate up to 575MB/s, U32 Shadow is also a nice choice to transfer multimedia files with large sizes. Unlike other external SSDs which commonly only support USB 3.0 or higher (3.1), U32 Shadow also supports USB 2.0 so you don’t have to replace your old computer to use this storage device. U32 Shadow is available in 5 different storage capacities, from 128GB, 256GB, 512GB, 1TB to 2TB. 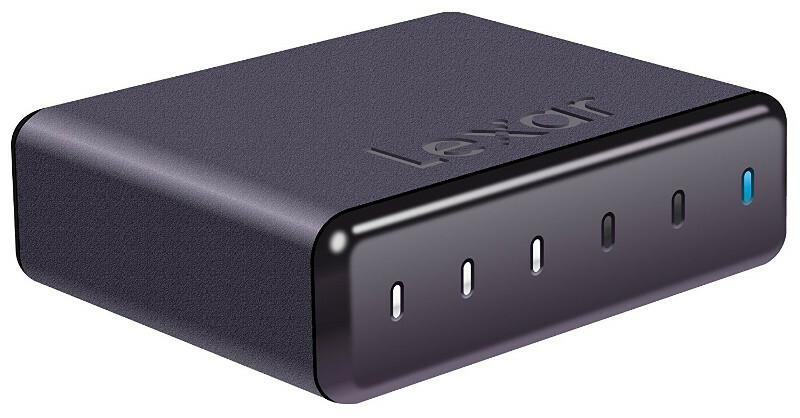 What makes Lexar Portable SSD different to other external SSD on this list is that you can check the remaining capacities of your storage directly by just watching its case. It’s possible because this external SSD comes with LED capacity meter which is located at the front of the external SSD case. The LEDs will display the available storage space at a glance look to enable you checking the remaining capacity effortlessly. Just like other external SSDs, Lexar Portable SSD also has super fast performance. Its read capability reaching the number of 450MB/s while its write capability reaching the number 245MB/s. Unlike traditional hard drives, it has no moving parts, so it provides exceptional resilience to shock and vibration. Lexar Portable SSD is available in two different capacity options, 256GB and 512GB.